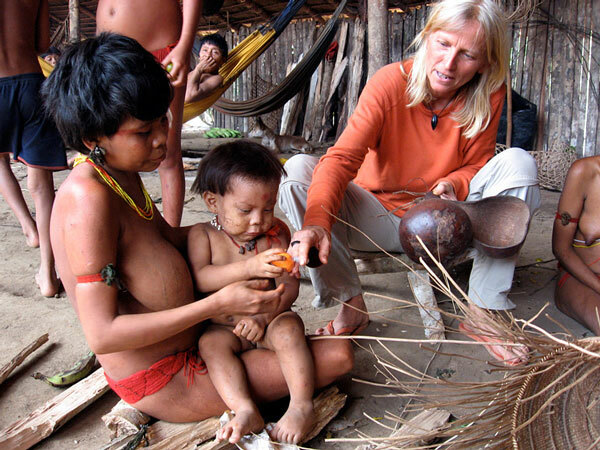 Onkozerkose care in the Orinoco region | Yanomami-Hilfe e.V. After the whole village has assembled, treatment begins. In 2008, Christina Haverkamp joined a medical expedition. The expedition’s goal was to provide the very remote Yanomami villages in the Orinoco region with treatment against onkozerkose and malaria . These villages are visited by a doctor only once a year. 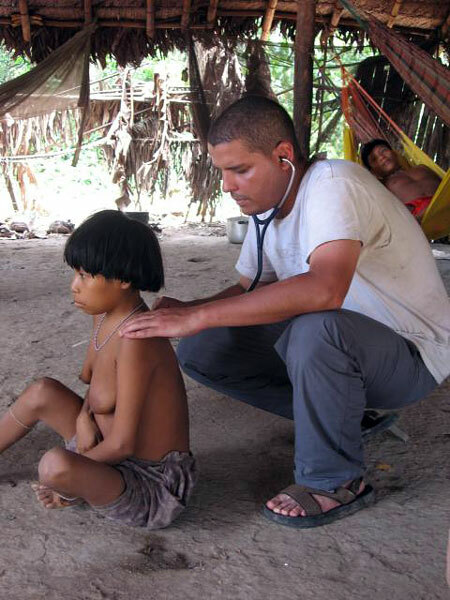 Only 20% of the Yanomami in Venezuela have access to medical care. Onkozerkose is the medical term for river blindness. River blindness is a chronical disease, transmitted by nematodes (filarial). It results in blindness if left untreated. The nematodes are spread by mosquito bites.